Over the last few years, Ace of Spades — the Champagne’s actual name is Armand de Brignac — has become one of the most popular Champagne brands on the market. Thanks to Jay Z purchasing the brand in 2014, Ace of Spades has become a staple at clubs, bars, and restaurants all over the country. Prestige doesn’t come cheap. At nearly $300 a pop (and that’s just at retail), you should definitely know what you’re getting out of your opaque, gold bottle. Here are eight things to know about Ace of Spades Champagne to look like a boss during your next night out. 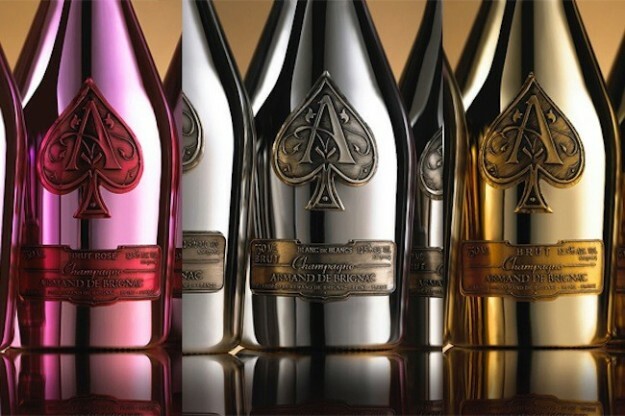 Quality is key at Armand de Brignac. All fruit is picked by hand, then pressed at one of the family-owned facilities. The first press of the juice is used for Champagne production. The bottles age on their lees and are riddled by hand. High-quality wine aged 30 feet underground is used for dosage, resulting in an extremely precise, high-quality final product.